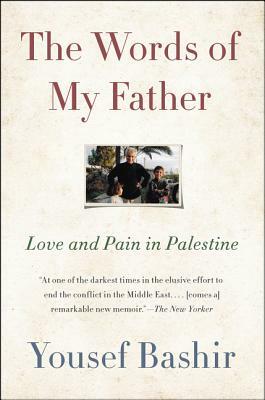 A Palestinian-American activist recalls his adolescence in Gaza during the Second Intifada, and how he made a strong commitment to peace in the face of devastating brutality in this moving, candid, and transformative memoir that reminds us of the importance of looking beyond prejudice, anger, and fear. Yousef Bashir’s story begins in Gaza, on a verdant ten-acre farm beside an Israeli settlement and military base. When the soccer-mad Yousef was eleven, the Second Intifada exploded. First came the shooting, then the occupation. Ordered to leave their family home, Yousef’s father refused, even when the Israeli soldiers moved in, seizing the top two floors. For five long years, three generations of the Bashir family were virtual prisoners in their own home. Despite this, Yousef’s father—a respected Palestinian schoolteacher whose belief in coexisting peacefully with his Israeli neighbors was unshakeable—treated the soldiers as honored guests. His commitment to peace was absolute. Though Yousef’s family attracted international media attention, and received letters of support from around the world, Yousef witnessed the destruction of his home, his neighborhood, and the happy life he had known with growing frustration and confusion. For the first time he wondered if his father’s belief in peace was justified and whether he was strong enough—or even wanted—to follow his example. At fifteen, that doubt was tested. Standing in his front yard with his father and three United Nations observers, he was shot in the spine by an Israeli soldier, leaving him in a wheelchair, paralyzed from the waist down, for a year. While an Israeli soldier shot him, it was Israeli doctors who saved Yousef and helped him eventually learn to walk again. In the wake of that experience, Yousef was forced to reckon with the words of his father. And like the generous, empathetic man who raised him, he too became an outspoken activist for peace. Amid the tragedy of the ongoing Middle Eastern conflict, The Words of My Father is a powerful tale of moral awakening and a fraught, ferocious, and profound relationship between a son and his father. Bashir's story and the ideals of peace and empathy it upholds are a soothing balm for these dangerous and troubled times, and a reminder that love and compassion are a gift—and a choice. Yousef Bashir is a Palestinian-American from the Gaza Strip, the son of Khalil Bashir, a highly respected educator. Still suffering the effects of a near catastrophic injury at the hands of an anonymous IDF soldier, Yousef made his way to the United States where he earned a BA in International Affairs from Northeastern University and an MA in Co-existence and Conflict from Brandeis University. Now living in Washington DC, Bashir has worked on Capitol Hill, and served as a member of the Palestinian Diplomatic Delegation to the United States. Yousef is an accomplished author, a vigorous advocate of Israeli-Palestinian peace, and much sought-after public speaker.